Conditional cash transfers (CCTs) are programs that transfer cash to poor household beneficiaries on the condition that they regularly accomplish a set of human development tasks on a regular basis. These are often related to investments in the health and educational well-being of their children that are also monitored. Most CCT programs move transfers through the mother (Fiszbein & Schady 2009). In the Philippines, the conditional cash transfer program is called the Pantawid Pamilyang Pilipino Program (4Ps) and is overseen by the Department of Social Welfare and Development (DSWD). It is a human development program that invests in the health and education of the poor, particularly those with children between 0-14 years of age. As of June 2013, the program had already enrolled 3.9 million households. 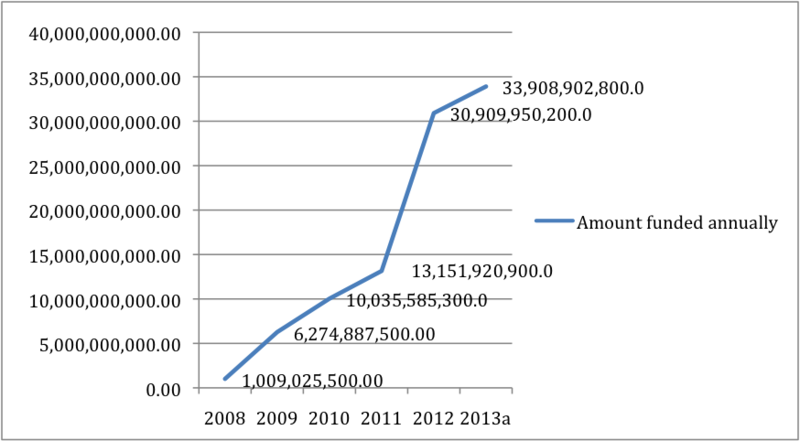 The amount disbursed has also grown by 3300% in 5 years, to almost Php34B (about 753M US$) in 2013. Given the program’s scale, whereby beneficiaries are given cash grants of between Php1600-2800 (35-62US$) every two months, one of the main challenges is logistical, given the limited access to banking services in a country that is composed of more than 7000 islands. At present, DSWD uses various channels for sending the CCT. The basic design is through Landbank of the Philippines (LBP) and the use of cash cards. Ms. Antoinette Duero, from the DSWD’s Financial Management Service, estimates that around 40% use cash cards and the rest (60%) uses other conduits, like Philpost, GRemit, etc. They estimate that operationally, they only have around 20% with logistical problems overall (for example people may face significant costs in terms of transportation to get to the payout site, absence of alternative channels, etc.). The majority (80%), DSWD finds ‘manageable’. On November 5, 2010, DSWD and LBP engaged the services of Globe Telecom in the pilot implementation of the distribution of cash grants using the GCash Remit service, the telecommunications company’s cash pick-up service. Since the pilot, was considered a success, the DSWD decided to expand to more areas using the same service. By 2011, the service was serving about 300,000 beneficiaries and distributing approximately PhP 1 billion (22M US$) in cash grants to almost 70 areas in 16 remote districts in the country. 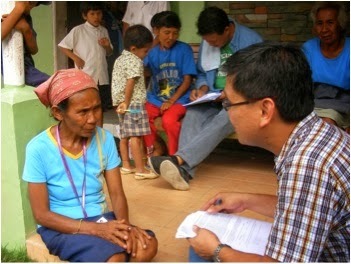 This was said to have made the act of claiming grants more convenient for beneficiaries who used to spend money and time for their transportation to, and queuing up in banks and distribution centers but has also spurred local economic activities as the beneficiaries were more likely to spend their grants in their community (Bold, 2011). Another option was to bring Landbank to the municipality through the use of land and air transportation. Mr. Obcena described the logistical challenge of implementing the distribution in 2009: “We even used a helicopter to bring the money, because it was risky for LandBank to transport it by public transportation and boat. That was a risk they did not want (to take on). However, it was also not always possible to have the money brought in by helicopter, and it was not sustainable because it was expensive." "There is no use of (mobile money or mobile phones) technology among the beneficiaries. 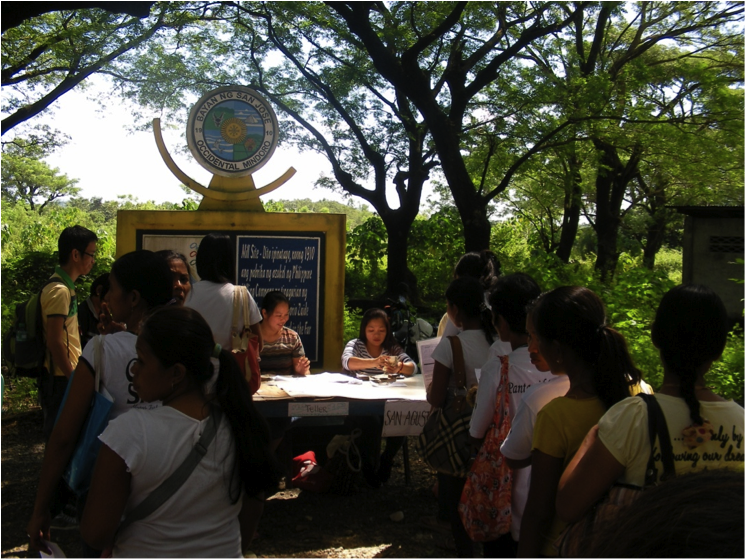 Instead, beneficiaries are given transaction slips by DSWD with codes. They gave this to the GRemit merchant who will enter the code for verification before remitting the cash. It is only the merchant who has a GCash account in this arrangement. They put the code that DSWD generated at the central office, and texts this back to GRemit. They needed this then because they could not verify the GCash transfer without the code. This was done individually, and not in bulk, as a control measure in case the beneficiary did not appear on the day of the release for funds. Merchants then get paid per transaction by GRemit (per beneficiary who are able to collect their CCT) and GRemit, in turn is paid by LandBank of the Philippines." Ms. Duero, from the DSWD central office, says this is a way for GRemit to monitor their merchants, considering also that these merchants are just accredited by GRemit and not really part of their company. The text sent by the merchant to GRemit is their way of monitoring if beneficiaries were paid and by how much. This is also important because GRemit and the merchant also have an internal fee sharing arrangement for each transaction. The argument (for the sharing) is that even as the merchant provides the manpower and direct field contact, Globe provides the technology and infrastructure. Unfortunately, the design as stated, never really took into consideration how the mobile money technology can be more beneficial for cash transfers. Such a model has been demonstrated to be possible, as Aker, et. al (2011) have documented in Niger. 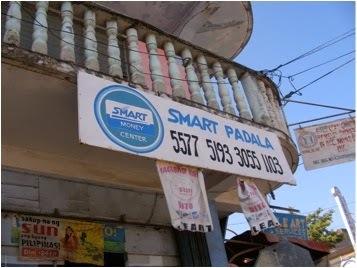 In the Philippines, the U.N. is also piloting a similar scheme, but this time, partnering with SMART Money as part of a cash for work program to rehabilitate communities affected by Typhoon Haiyan (see Lee-Brago 2013). As such, among those who qualified for the bidding, GRemit was outbid in early 2013 by MLhuillier, a remittance company with a nationwide network of pawnshops. Partly this was because GRemit did not really have the technological advantage working for it, and MLhuillier’s network could just as easily compare with Globe’s network of merchants. Among the considerations for those who participated in the bid was the matter of cost but also their capacity to deliver the grants down to the barangay-level (community-level). However, it is also unlikely that the 20% of the population that DSWD finds problematic will be solved through a truly mobile money based system. According to Ms. Duero, the problem for mobile money in those cases would be very basic: some beneficiaries do not have cellphones and some areas lack cell sites and have poor cell signals. More likely, m-money can work in the 80% that DSWD finds less difficulty. However, if they are not as problematic and is already manageable, why should DSWD consider this as an option?